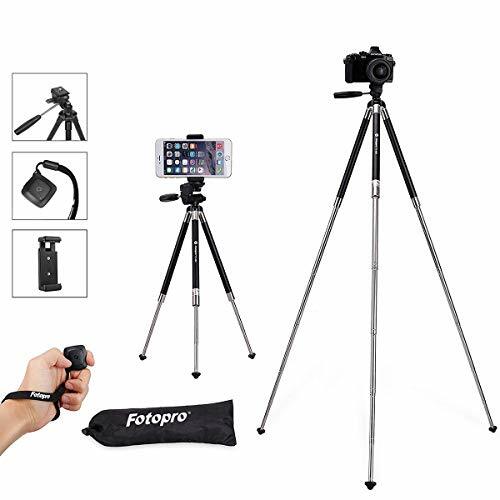 50" inch tripod: lightweight and compact design / Extends to 50" inches / Minimum Height: 15.5"
Fotopro have more than 12 years' Experience in photographic manufacturing field, The trademark "Fotopro" Is our promise to products. We promise, all of our products have the best quality in the same ones. We refuse to sell any defective goods At a low price, just to get a good volume of sales. Every product in the customers' Hands have the best details treatment and the longest service life in the market. 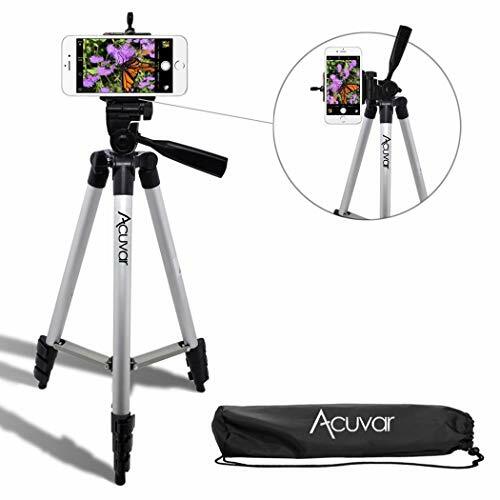 IPhone tripod, smartphone tripod, Fotopro 39. 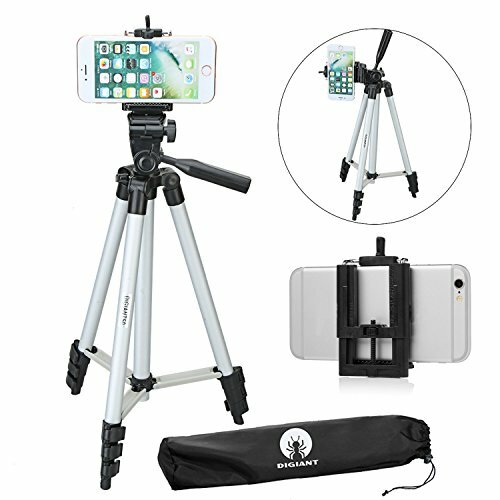 5 inch aluminum camera tripod + Bluetooth remote control + smartphone clip Mount + Tripod bag feature -the maximum height of the mobile phone adapter: 3. 5 inches, fits most smartphones - versatile, compatible with camera, smartphones, webcam, GoPro etc. - The Bluetooth remote control could also be used to make pause when making a video. - 8 folding stainless steel legs with slip resistant, rubber coated legs delivery: -1 tripod -1 Bluetooth remote controller -1 Smartphone clip Mount -1 tripod bag note: GoPro adapter is not included in the scope of delivery if the Bluetooth shutter failed to match iOS10 system, Please kindly choose "note: forget this device" In "settings" And reconnect. All products come with a standard 1-year and 30-day money back. We want to make sure you are happy using it, and we cherish your advises, please help us to improve. If for any reason you are unhappy with any product by Fotopro, Please do not hesitate to contact us. We take full responsibility for the quality of our products and will do our very best to solve your problem quickly and efficiently. 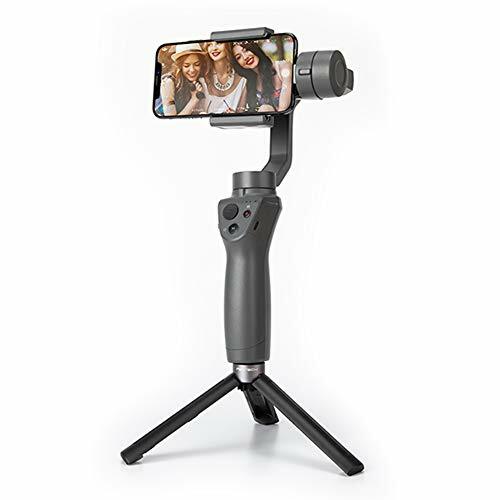 360 Degree Panorama This smartphone tripod features a 3-way pan Head with handle, which allows both 90-degree vertical and 360 degrees panoramic shooting according to your preferences. At the same time, the spirit level contributes to exact horizontal alignment. Bluetooth Shutter Bluetooth remote trigger is compatible with Android and IOS system, enables you to shoot from distance. (Max. 10 meter) Please attation Our Bluetooth remote controller doesn't match Huawei EMUI 8.0 System! Widely Applicaton Phone clamp suitable for most smartphones within 3.3 Inches width or less. The standard 1/4 screw quick release plate helps to quickly connect most digital device to the stand. For any problem while using, please feel free to contact us: support.us@fotopro.com, we will help to solve it as soon as possible. A compact flexible tripod featuring a spring loaded phone clip. Tripod legs are 5 inches long and are coated in non-slip foam with non-skid rubber feet. Phone clip fits any phone between 2 inches to 3.5 inches in width. The optional phone clip can easily be unscrewed and any standard digital camera with 1/4 threads can be attached. The locking ball swivel is very secure and will maintain the angle you set. 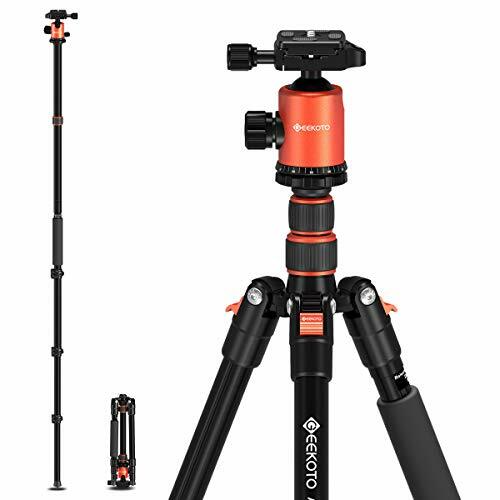 This is a very compact handy tripod perfect for on the go. Easily fits in a pocket, purse, backpack, or glove box. 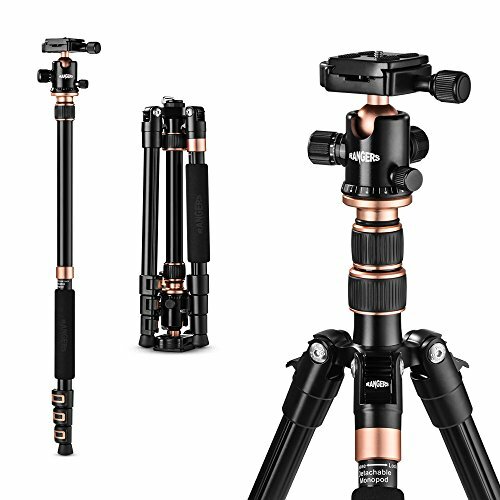 Compact & Portable- Tripod can easily be carried in a backpack, bag, or even your pocket. Tripod with phone clip attached measures 10 inches in length. Tripod by itself without phone clip measures 7 inches in length. Universal compatibility- Standard 1/4 inch mounting screw can be used with most standard cameras. Spring loaded phone clip opens up to 3.5 inches. Sturdy & Stable- The bendable octopus legs are made from high quality metal hose coated with durable non-slipping foam. The foam legs allow this tripod to be very stable on slick surfaces such as metal railings, door knobs, and plastic handles. The phone clip is padded on either side to ensure a tight grip on your phone while preventing any scratching. 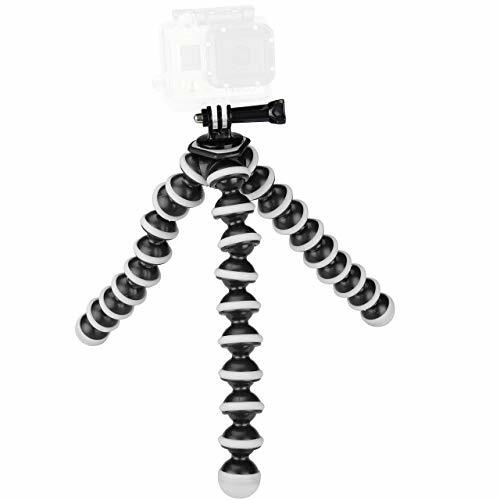 Tripod features a ball swivel allowing camera to be adjusted to any angle. The swivel is simply locked in place by twisting the set screw. Multiple Uses- Great for family videos, group photos, vlogging, YouTubers, and other sorts of photography. Old brand but new store with more than 10 years in producing nice projector mounts made from nice material is cost-effective with many accessories needed and a manual. Please trust us and add it to your cart for this right choice. 1.pls tighten all screws & knobs on the tripod before hook it up with your device. 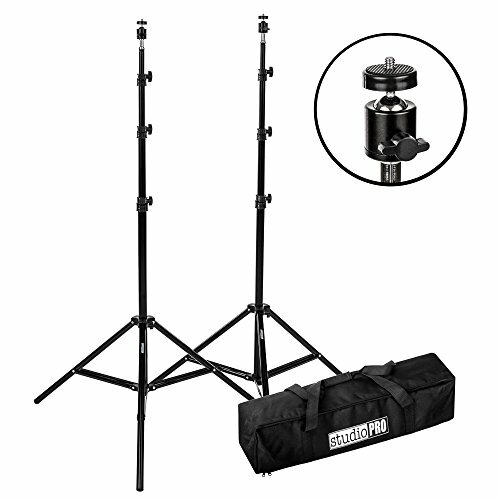 2.This tripod stand is mainly used for lightweight equipment. Not recommended for large heavy projectors. 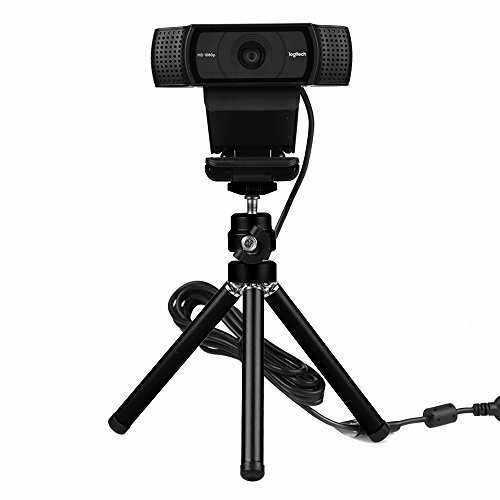 1.Bigger Loading and Height Adjustable: This mini projector tripod with loading capacity 11bs/5kg. 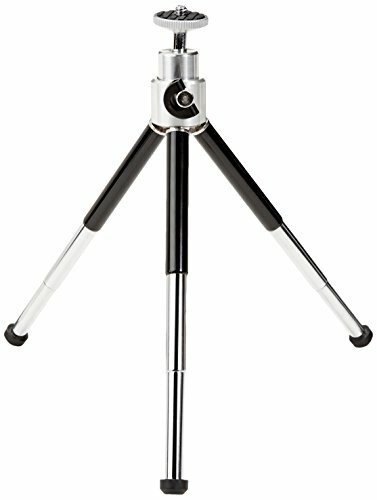 Telescopic Tripod Stand with height from 2.73 - 4.75 ft (83-145 cm) Higher tripod stand! 2.Nice Pivot ball head: 360 Swivel and 90-degree tilt help you get the perfect angle you like. The 1/4 in thread with ball head and 3/8 inch thread without ball head. Good for projecting, presenting, orchestrating, singing & speeches. 3.Portable and Wide Usage: The Portable Tripod with carry bag is nice as micro projectors, tripod tray, webcam, small cameras, microphone (snowball) stands, DV, cell phone mount adapter,VR Gaming Lighthouse Stand for HTC Vive and Oculus Rift 4.Considerable Design: The table / ground tripod with three sturdy stable legs has rubber feet for skid-proof and non-scratch placement on any surface. Cable organizer on the pole to keep order. Life should not be mess. 5.Note: This tripod stand is mainly used for lightweight equipment. Not recommended for large heavy projectors. Warranty: One year warranty and friendly customer service. 2.Nice Pivot ball head: 360 Swivel and 90-degree tilt help you get the perfect angle you like. The 1/4 in thread with ball head and 3/8 inch thread without ball head. Good for projecting, presenting, orchestrating, singing & speeches. 5.Note: This tripod stand is mainly used for lightweight equipment. Not recommended for large heavy projectors. Warranty: One year warranty and friendly customer service. 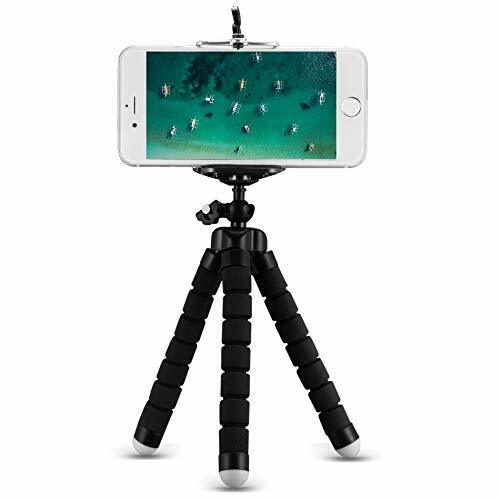 The PGYTECH Desktop Tripod Mini is more convenient to control the appearance of pictures promptly, and it is provided with 1/4 thread on the top for quick connection to phone clips and action cameras equipped with 1/4 thread. With the adapter, you can accommodate multiple perspectives and shoot different angles. Machined aluminum GorillaPod plus precision-engineered ball head with Arca-Swiss compatible quick release plate. Can be configured for still photography, cinematography, vlogging or live streaming in 3 modes: grip, wrap or stand. Supports professional cameras and devices weighing up to 11 lbs. Can be configured for still photography, cinematography, vlogging or live streaming in 3 modes: grip, wrap or stand. 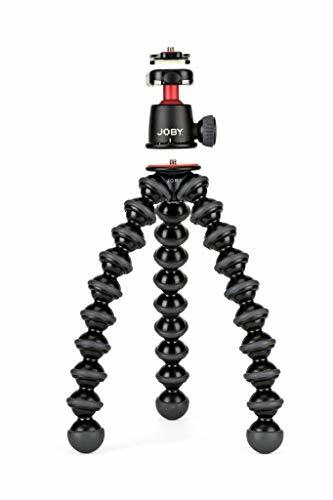 The Joby GorillaPod 5K Flexible Mini-Tripod with Ball Head Kit to form a flexible and versatile support system. With the ball head, you can precisely control the direction and angle of your equipment and then lock that position in place for easy use. 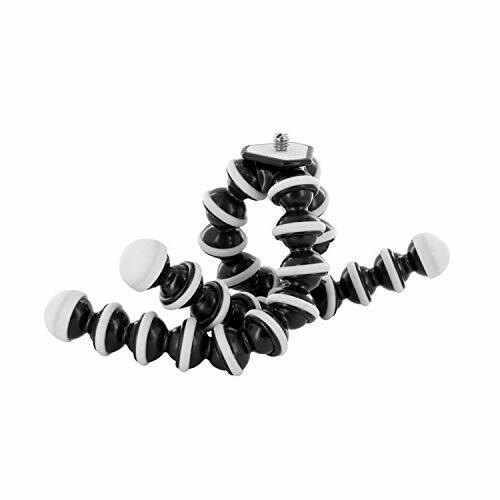 The GorillaPod 5K Stand is a flexible stand that can be wrapped for easy storage and transportation. It can be stand virtually on any surface with flexible and adjustable legs to secure your camera. 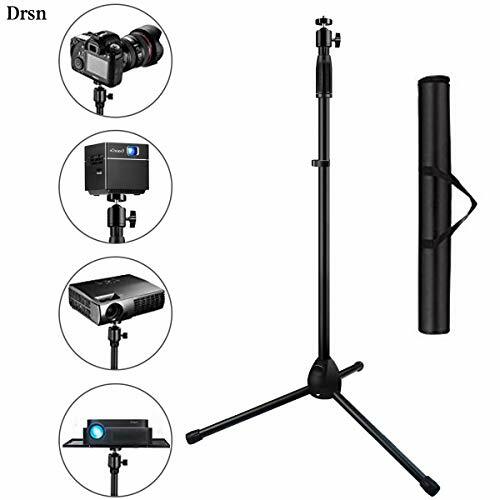 The stand is versatile to handle any type of camera, flashes, speakers, video lights or any device weighing less than 5 kg (11 lbs) with a "-20 tripod mount. The stand is highly portable with it's compact and lightweight design for easy transport even in pocket. 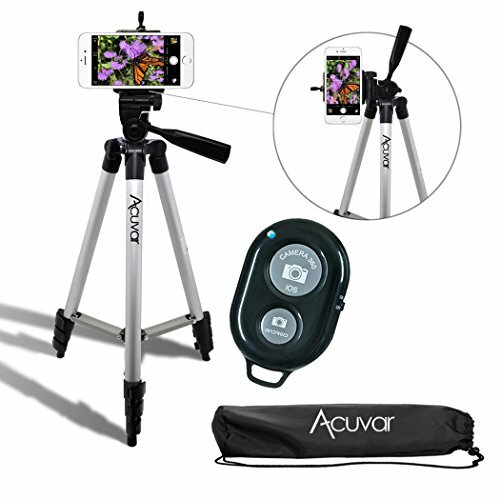 designed to attach your smartphone to a tripod or camera mount when shooting stills and videos. Two 1/4'' female threads located at the base and on the back of the Clamp, are provided for mounting your phone onto many supports in multiple positions. It features two silicone rubber pads for a secure grip. The Universal Clamp can also work as a stable table base for your smartphone, thanks to the self-standing bracket on its back. * Compatible with any smartphone up to 3.3" wide including: iPhone, Galaxy, HTC, Moto X, BLU, Google & More. Travel Ready - Compact and Lightweight, Perfect to Throw in Your Bag, Backpack or Pocket. The new MVK500190XV is a video system composed by MVH500AH fluid video head and dedicated 190X Video aluminum tripod with leveling column, ensuring the utmost versatility and carrying convenience. The 500 Fluid video head comes in the flat base version, for greater versatility: it can be used in combination with other video accessories (such as slider or jib). It also features fluid cartridges on both pan and tilt to ensure that every camera movement is smooth. A side lock system allows the camera and sliding plate to click quickly into the head from above, instead of needing to be aligned and slide from the back. The side lock system also makes it quicker and simpler to lift the camera out of the head from above. The head has a pre-set counterbalance of 5.3 lbs at 55mm C.O.G., and can support up to 11.0lbs of equipment. It has a 3/8'' Easy Link connector to fit accessories such us an arm to hold a monitor or a light. R4Tech octopus gorilla tripod manufactured from high quality materials. It is very amazing for everyday photography and vlogging. It is light weight , just 45 grams, makes it easy to carry. It's small size , 35cm, provide easy carrying in your backpack It provides great video capturing experience. It is durable , can fit any camera with maximum load of 500 gm. Stable tripod with rubber ended legs to prevent slipping on smooth surfaces. The legs rotates 360 degrees which makes it easy to be mounted on any surface. Capture the best photos, videos and time-lapses that form an exceptional memory to last forever. Great tripod for great memories: Offers a great experience of capturing the best moments in any direction. 360 degrees rotatable legs to mount on any surface. 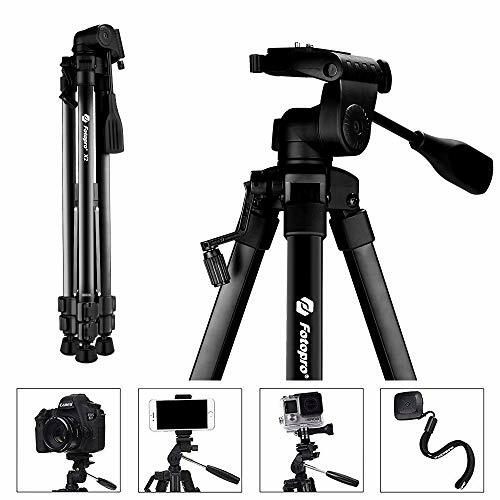 Reliable tripod for best capturing experience: Tripod can carry any camera with maximum load of 500 g.
Universal tripod: tripod is fitted with standard 1/4 screw, can be used for any kind of camera, GoPro need to add tripod adapter. 1)Easy to operate unique, patented ball head quick release system. 2)Simple to use, robust buckle leg locking system. 3)A combination of high quality, superior grade carbon fiber and aluminium magnesium alloy materials provide increased strength, rigidity and durability. 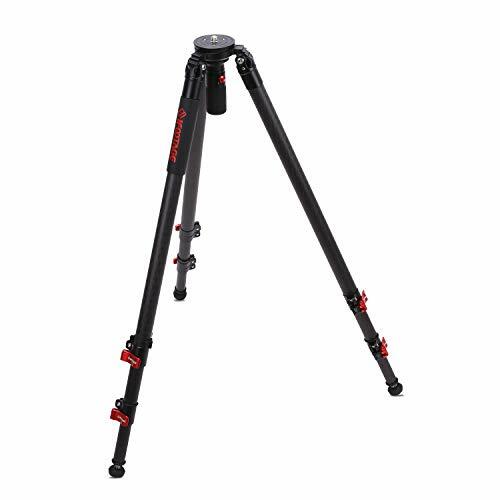 4)Lightweight and highly portable, this tripod will fit into a 26" wide suitcase.  Patented and unique fastbowl: Allows rapid removal of the camera and bowl head by a simple turn and push button operation. 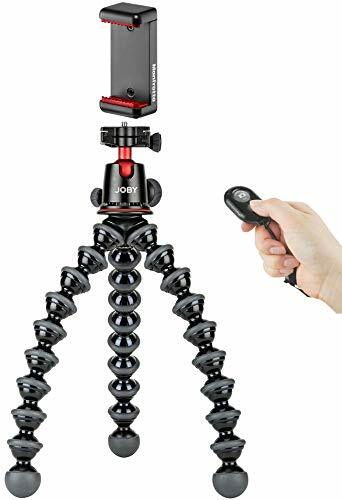 No more endlessly turning the the ball head screw to release the head.More traditionally, it also allows you to instantly level your camera too! 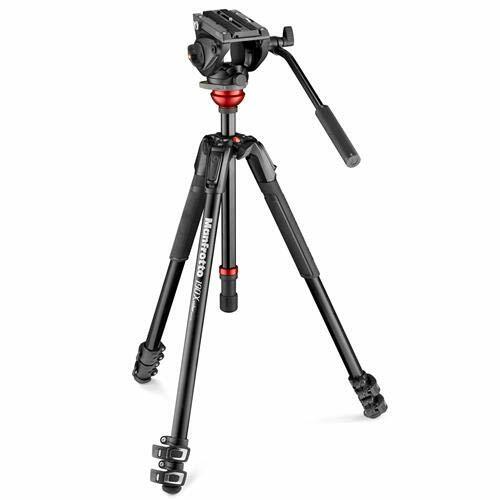  Ultra Low Angle Shooting: The leg spread come with adjustable angle of 77 on this means it offers lower shots minimum height of 7 inches than many other competitor's tripods-useful when you are on location and need a steady low angle shot. 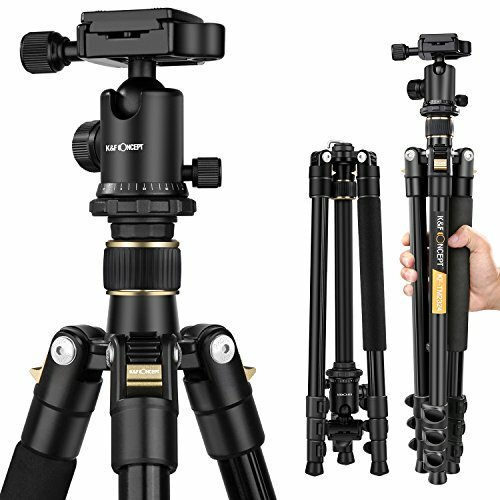  Quick Telescopic Design: Each leg has an automated locking system, operated at the top of the tripod providing a choice of three leg lock angles for set up with angle of 22 ,50 ,77 . Leg adjustment buckles can lock securely time after time without palm pinch.  Strong Stability: Made of carbon fiber, features a 75mm adjustable bowl head. Max load capacity is 19.8 lbs for handling larger cameras and lenses. 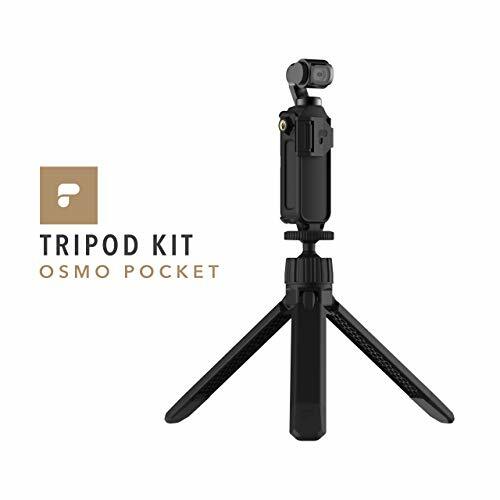  Compact and portable: it can be folded to 26.3, lightweight and highly portable, this tripod will fit into a 26 wide suitcase. Ideal for travel and work.